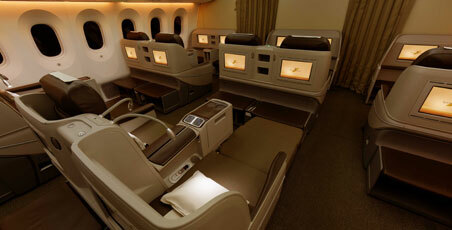 The Royal Brunei Airlines 787 Dreamliner Business Class cabin features contour seats that fully recline to a flat bed with 11% larger surface than the in-flight beds of most aircrafts. Along with a plush duvet and larger pillow, the Business Class seats of the Dreamliner truly provide optimum comfort for a peaceful rest. 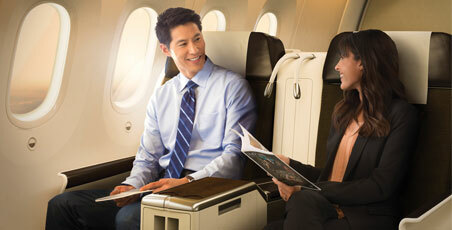 Each seat is equipped with a 15.4-inch touchscreen LCD Monitor with Panasonic eX2 in-flight entertainment system as well as an in seat power connector. 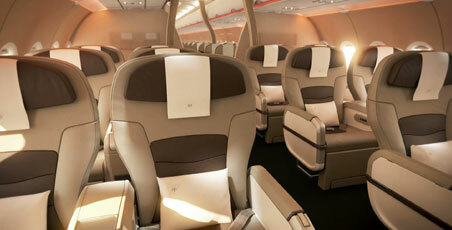 In addition, the Business Class cabin lavatories are equipped with bidets. 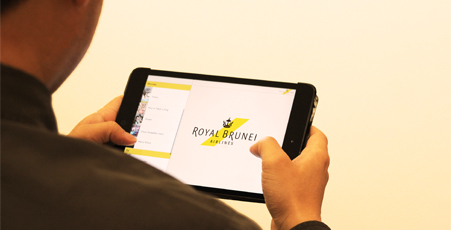 The Royal Brunei Airlines Airbus Business Class cabin offers plush seating with a pitch of 42-43 inches and a seat width of 20.9-22.7 inches. 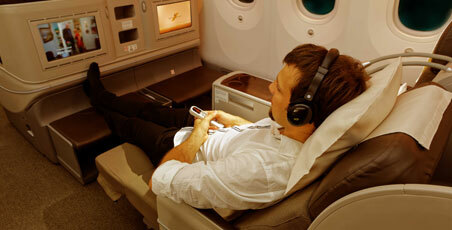 There are a total of 12 recliner seats, each with a 10-degree recline and in-seat power supply. Each seat is also fitted with a personal TV of up to 11.6 inches, powered by Thales AVANT (Gen 5) in-flight entertainment system on the A320-NEO aircrafts.